UPDATED: Estimated arrival date released. 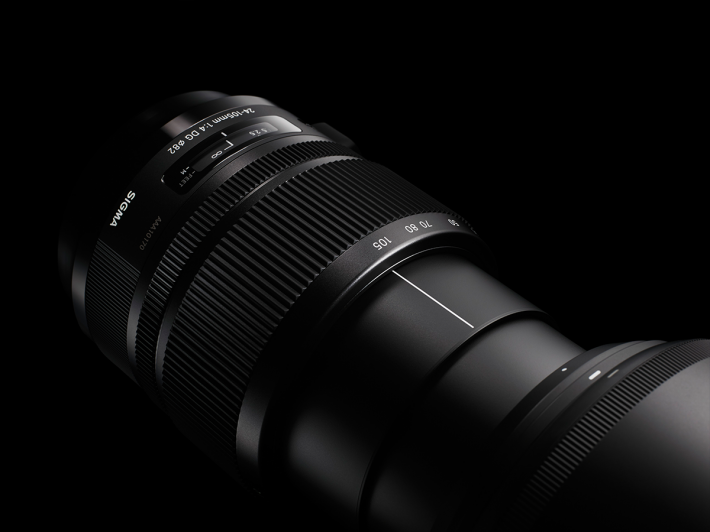 In a stunning development, Sigma has placed the rumored 24-105mm on their website. 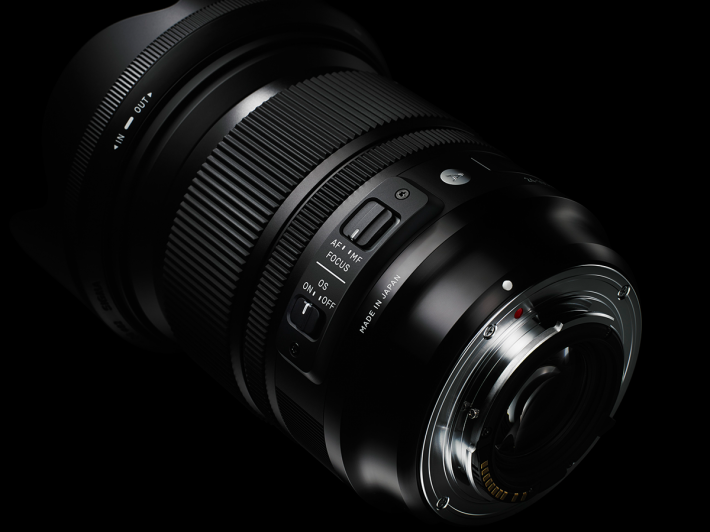 I say stunning, because the whole of the Sigma USA team is on holiday today and we were never briefed on this lens officially (which is HIGHLY unusual, eg. this is the first time it's happened). This story is still developing, but the page is live and you can look at it yourself. 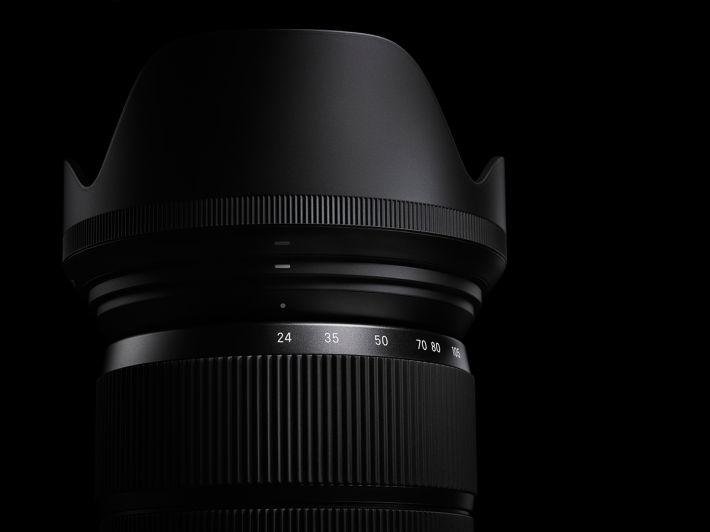 UPDATED: Sigma expects the lens to be available by November. 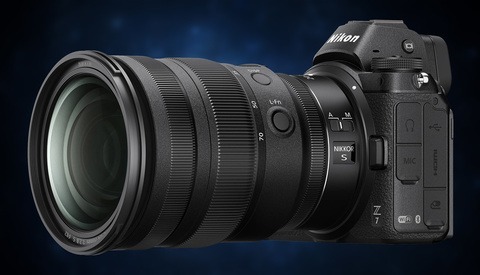 "True to its categorization as a Sigma Art lens, the new 24-105mm F4 DG OS HSM is designed for artistic expression and top-notch image quality. This versatile lens covers the basic shooting range from wide to medium tele with an inner focusing system that eliminates front lens rotation, enhancing the lens stability and allowing the use of circular polarizing filters. 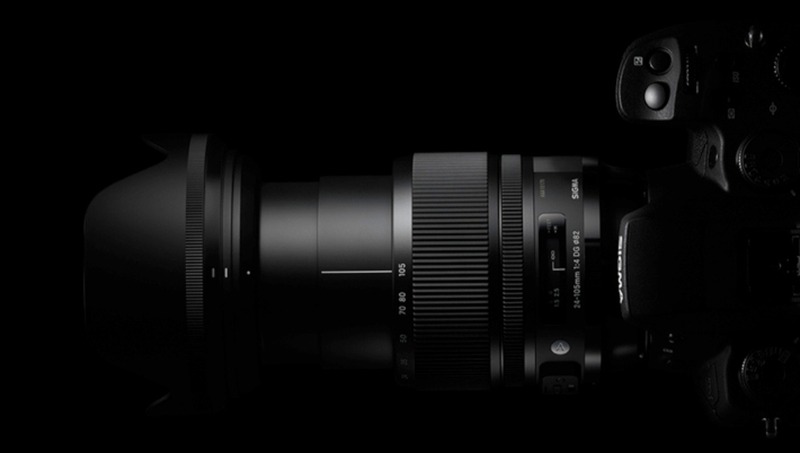 It also boasts a constant aperture of F4, and contains Sigma’s proprietary Optical Stabilizer (OS) technology to compensate for camera shake. 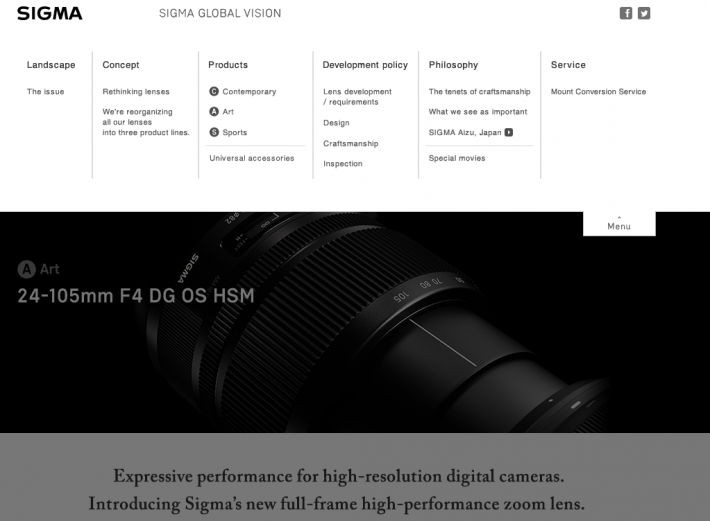 Moreover, it was designed to surpass the required quality inspection of every Global Vision lens with Sigma’s own modulation transfer function (MTF) “A1” measuring system to create new optical standard to align with the high-spec cameras on today’s market." Dimensions (Diameter x Length): ø88.6mm x 109.4mm/3.5in. x 4.3in. No price has yet been listed, and all my sources have not been able to get me one. I'll update as soon as I hear. View the full product description, MTF charts, and all other info at Sigma-global.com. Jaron Schneider is an Fstoppers Contributor and an internationally published writer and cinematographer from San Francisco, California. His clients include Maurice Lacroix, HD Supply, SmugMug, the USAF Thunderbirds and a host of industry professionals. When Sarah Williams and I met up in Texas, we mentioned having a 35 Shoot off...since she had the Sigma and I had the Canon. Never materialized though. I think she was scared of losing. I doubt that lens would lose to the Canon. Not from what I've seen, but if it did so optically, it wins anyway at being $500-$600 cheaper. The Sigma 50 f/1.4 is reputedly better than the offerings of Canon and Nikon but that, of course, is always subject to debate. 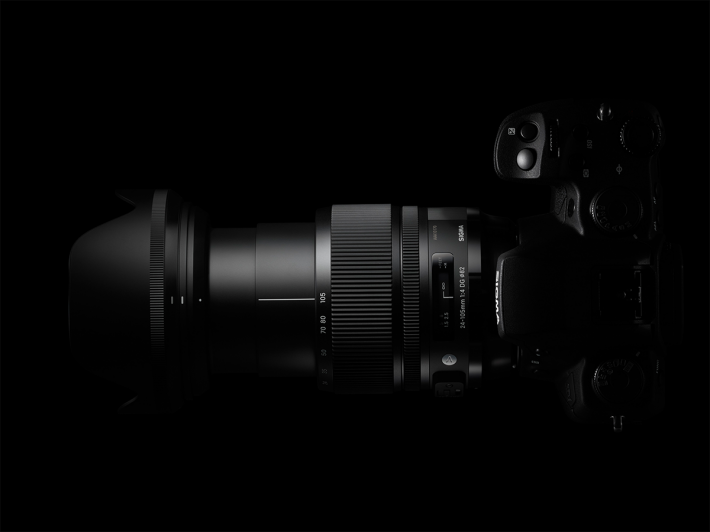 For what it's worth, Sigma churns out a lot of good stuff that I wouldn't necessarily dismiss it without first seeing its output. But this way I can check out that lens. I want that or the Canon version. 2.8 would have been better. Of course it would have been better. 1.8 would have been better. 1.79 would have been even better. I'm holding out for a 1.19 and won't take any pictures or earn any money until they make one. yes, for double the size and 1,5kg weight and $3000. Not if it's a superior lens. The Canon lens is not that great, and obnoxiously overpriced. Don't they alternate? 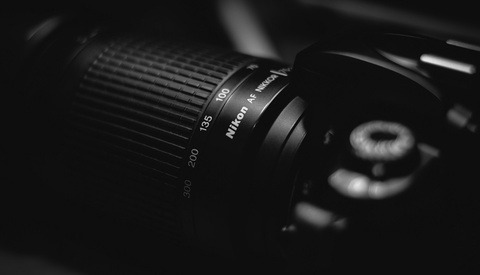 Some Sigma lenses zoom the Canon direction, some the Nikon direction? That is not true. I have a sigma 70-200 and a nikon 24-70 and the zoom rings turn the same direction on both lenses. Did you ever stop to think that the one pictured could be the canon or sigma mount? 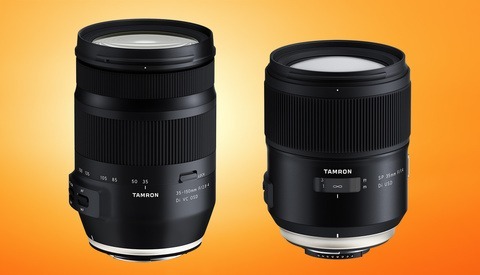 yep, don't buy one because the zoom ring turns the 'wrong way'. Only really relevant for videographers, who no doubt wouldn't be fussed themselves. Canon's version isn't that expensive. It's the perfect range so at 2.8 I would have bought two. Almost, Sigma....almost. Look at everyone whinging about sigma offering their take on the 24-105. The canon version is getting old and poo now (replaced with my tack sharp beloved 24-70 f4L IS), and with sigmas current track record of recent lenses this may be a brilliant bang for buck lens. Ignoring all others whinging, thank you Sigma for at least bringing some new gear out for us equipment hoarders to play with. For people who want the extra reach (I do) that are bored of canons L-acklustre 24-105's super soft edges, this may be a winner.